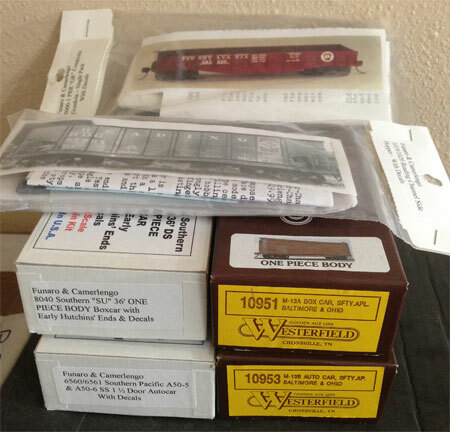 My friend Jim has been busy building HO scale resin freight car kits in West Virginia. He recently sent several images and descriptions, so I’ll turn the blog over and share some of his work. Click on any image here to review a larger version. Jim has a modeling focus set in 1952 and his freight car fleet is a bit different from my 1926 focus. I hope you enjoy this diversion. All the parts and pieces for the next build! After building six Funaro & Camerlengo HO scale scale resin freight car kits in three weeks, I thought it was time for something a little different. 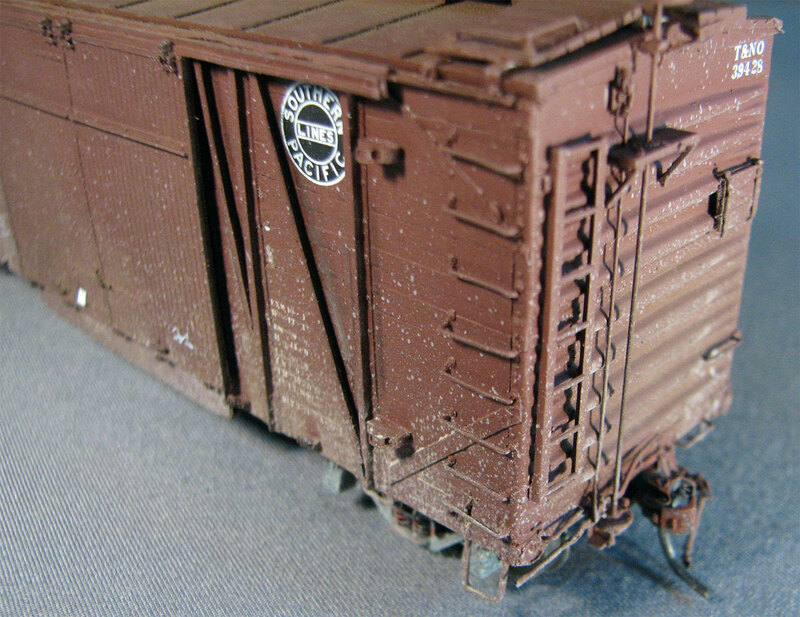 There have been a number of small companies making resin rolling stock kits over the years. Sunshine, Norwest, Sylvan, Westerfield, Speedwitch, Storzek, WrightTRAK, Smokey Mountain, and Southern Car & Foundry are some of the names that have produced a variety of resin rolling stock kits over the last few decades. I have kits from a few different producers, so it’ s time to try something different. After building several resin freight car kits in about a month, I feel resin kit building requires the confidence to improvise. Not everything will fit perfectly. Some parts may be missing or damaged, and some steps take longer than others. I no longer expect a build to go smoothly and I try to break away every 30-45 minutes to clear my head. I also try to have another project nearby that is not at the same stage as the main build. I may work on lateral running board detail for the previous build, prep and wash large parts for an upcoming build, or assemble sides and the ends of the next build. I may even take an email or a pudding break. Did you get that? Not the pudding break part but that other stuff. 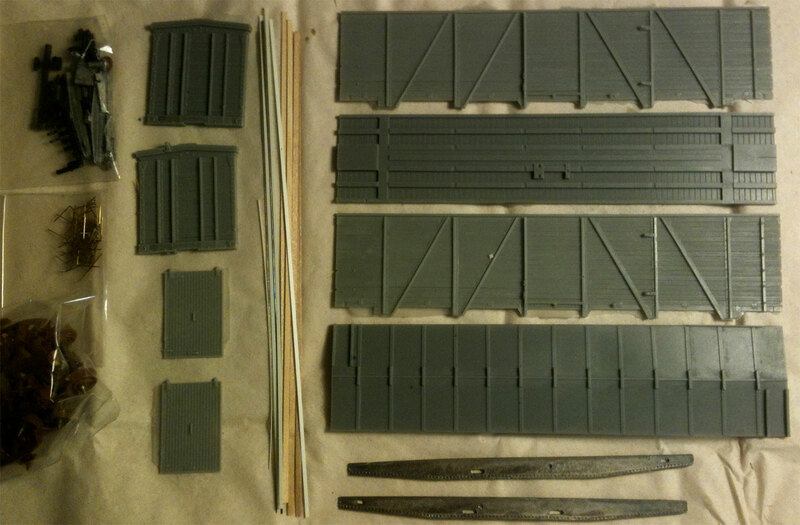 Any resin kit requires more attention and work than an Accurail, Athearn, or MDC kit. Staggering fine work with basic work and taking regular breaks can help move your builds along and reduce frustration levels. Do not expect to plow through a build in one sitting. Maybe I’ll get to that point, but right now I find it best for me to vary the tempo and take an intermission between songs. The pile of future freight car builds! The image above is basically how a resin kit build begins. 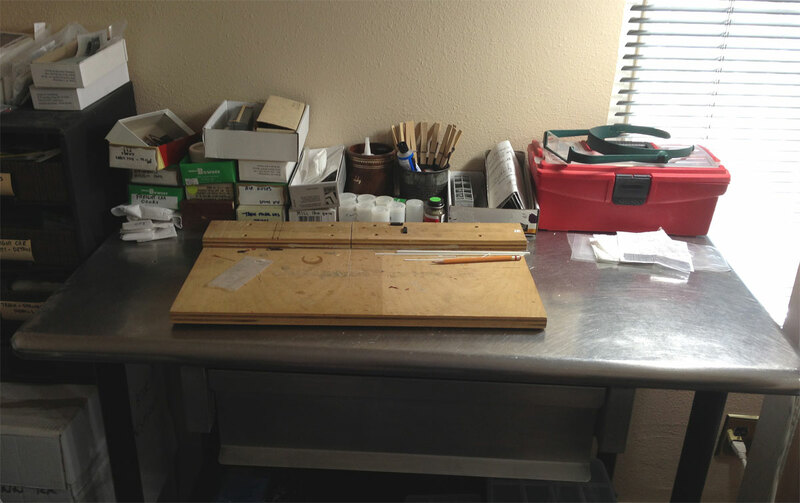 A few kits on hand at the workbench can spur action. Once you begin one, it’s very easy to keep moving along and build more. This isn’t the complete stash as that is overwhelming. I just pulled a few that looked interesting and decided to take the great leap forward.